Online services like YouTube may have taken a big bite out of America’s Funniest Home Videos’ viewership but ABC has no plans to cancel the long-running series anytime soon. The network has renewed AFV for season 30 and season 31, ensuring the show will stay on the air through the 2021-22 season. What’s more, the network has ordered an “offshoot” series called Videos After Dark. Hosted by Bob Saget (AFV’s host for eight seasons), the series is expected to be a half-hour program that will air later in the evening and will use clips that are more appropriate for a mature audience. “AFV” has consistently boasted solid ratings, and this season to date is up over the comparable weeks last season by 17% in Total Viewers to deliver its most-watched season in 6 years – best since the 2012-13 season. Following the notable success of the original franchise, the producers of “America’s Funniest Home Videos” have created a new comedy reality series, “Videos After Dark,” hosted by comedian Bob Saget and featuring home videos with an edgier twist. As the original host of “America’s Funniest Home Videos,” Saget is no stranger to the world of home videos, but these new, fast-paced, half-hour shows will feature videos from Vin Di Bona’s vast video vault that are more appropriate for an older audience. Incredible real-life mishaps, uproarious blunders and extremely bad decisions are celebrated and highlighted with Saget’s comedic commentary. “Videos After Dark” reunites Vin Di Bona and Bob Saget in a show where the hits are a little harder, the language a bit saltier, the animals a little less cute, the kids a tad less adorable and the embarrassing moments are way more revealing. 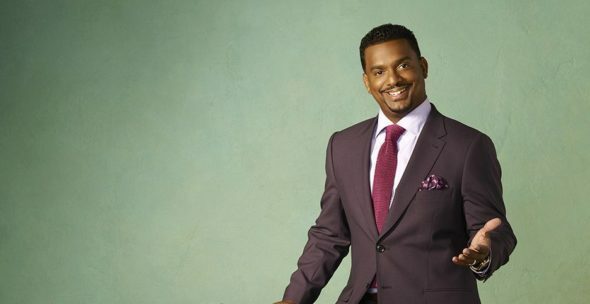 Hosted by Alfonso Ribeiro, “America’s Funniest Home Videos” is currently airing its 29th season, Sundays at 7:00 p.m. ET, on ABC. Each week, the “AFV” team evaluates thousands of user-submitted home videos to bring viewers America’s real-life funny moments captured on video. “AFV” offers a weekly $10,000 first place prize to the funniest or most unique video as voted upon by the in-studio audience. Those prize winners then move on to the next competition round where they vie for a $100,000 prize. At the end of the season, the $100,000 prize winners compete for a grand prize vacation package. In its 29 seasons to date, “AFV” has given away over $15 million in prize money and evaluated nearly 2 million videotapes from home viewers. “AFV” has become an iconic part of American pop culture, as evidenced by its inclusion in the Smithsonian’s permanent entertainment collection. Today, “AFV” is syndicated in over 193 territories around the world, spreading American humor and clumsiness across the globe. Vin Di Bona and Michele Nasraway are executive producers for “AFV.” They also serve as executive producers on “Videos After Dark,” along with Bob Saget. What do you think? Do you like the America’s Funniest Home Videos TV show? Will you plan to be watching the show during the show’s 30th and 31st seasons? Will you check out the new Videos After Dark series? More about: ABC TV shows: canceled or renewed?, America's Funniest Home Videos, America's Funniest Home Videos: canceled or renewed?, America's Funniest Home Videos: ratings, Videos After Dark, Videos After Dark: canceled or renewed? THANK YOU for continuing the show!!!!! I really do not watch this show…..maybe once in a blue moon. Do not care what you do with it !